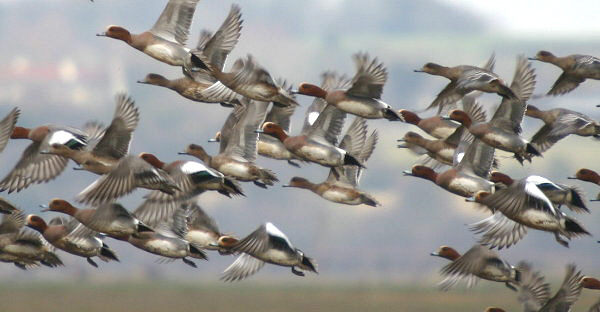 The Wigeon is the most common wintering duck on Severnside. The flock usually contains 500 birds and the best place to see them is on Northwick Warth. In cold winters the numbers can increase dramatically, in March 1987 the flock contained at least 7000 birds.